Peggy Annette Whitson is an American biochemist and astronaut. Check out this biography to know about her childhood, life, achievements, works & timeline. Peggy Annette Whitson is an American biochemist and astronaut who holds the record for most total days spent in space by any NASA astronaut. She is also the first woman astronaut to command the International Space Station twice. Ambitious from a young age, she realized her life’s calling quite early on. 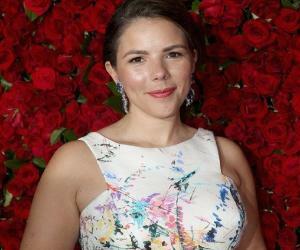 As a nine-year-old, she watched Buzz Aldrin and Neil Armstrong walk on the moon on her TV and decided to become an astronaut herself. The year Whitson graduated from school, Sally Ride was named as the first female American astronaut and that made her resolve stronger. At the age of twenty-six, she joined the Johnson Space Center at NASA as a National Research Council Resident Research Associate. Ten years later, she was selected as an Astronaut Candidate and underwent two years of rigorous training. Finally her dream came true when she, as a part of Expedition 5 crew, launched aboard STS-111 for the International Space Station on June 5, 2002. She made a second trip to the space in October 2007; this time as a commander. 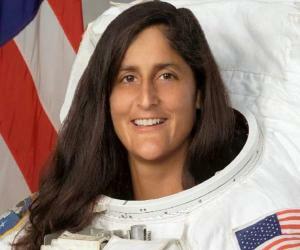 In fact, she is the first female commander to lead any space exploration. In April 2017, Whitson surpassed astronaut Jeff Williams’ previous record of 534 days, 2 hours and 48 minutes of cumulative time in space by a NASA astronaut by creating a new record of more than 534 days. Peggy Annette Whitson was born on February 9, 1960, in Mount Ayr, Iowa. Her parents, Keith and Beth Whitson, owned a farm in the outskirts of Beaconsfield, a small town located near Mount Ayr. Peggy’s elder sister, Kathy Bretz, now lives in Des Moines. Peggy had her early education at Mount Ayr Community High School. When she was nine years old, Buzz Aldrin and Neil Armstrong landed on the moon for the first time. Watching them walking on the moon on her television set, she too decided to become an astronaut. All through her student life, she carried the goal in her heart, working hard to fulfill it. She graduated from school in 1978. In the same year, Sally Ride was chosen as the first female astronaut and this made her resolve to become an astronaut stronger. In 1978, Peggy Whitson enrolled at Iowa Wesleyan College with chemistry and biology and graduated from there in 1981 with a Bachelors degree in Science. Although her professors tried to persuade her to enroll at medical school, she stuck to her goal. She was a brilliant and hardworking student and won number of medals and scholarships. In 1978, she received Academic Excellence Award and in 1979, was declared State of Iowa Scholar. 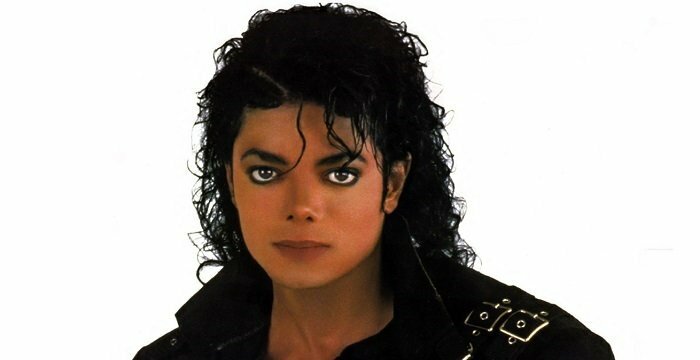 She also received Orange van Calhoun Scholarship in 1980 and was on President's Honor Roll from 1978 to 1981. In 1981, she joined Rice University in Houston for her graduation work on biochemistry on Robert A. Welch Predoctoral Fellowship. In 1984, she earned her PhD degree; but continued at the same university as the Robert A Welch postdoctoral fellow. Peggy Whitson completed her postdoctoral fellowship in October 1986 and then joined Johnson Space Center (JSC) as a National Research Council Resident Research Associate. The Center, located in Houston, is a part of National Aeronautics and Space Administration (NASA). In April 1988, she became the Supervisor for the Biochemistry Research Group at KRUG International, a medical science contractor at JSC and worked in that capacity till September 1989. Afterwards, she joined Biomedical Operations and Research Branch at NASA-JSC as Research Biochemist and remained at the post until 1991. 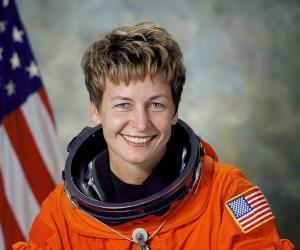 From 1991 onwards, Peggy Whitson held number of posts concurrently. From that year until 1993, she served as Technical Monitor of the Biochemistry Research Laboratories in the Biomedical Operations and Research Branch. Parallel to that, from 1991 to 1992, she functioned as the Payload Element Developer for Bone Cell Research Experiment aboard SL-J (STS-47), and was a member of the US-USSR Joint Working Group in Space Medicine and Biology. In 1992, she became the Project Scientist of the Mir-Shuttle Program (STS-60, STS-63, STS-71, Mir 18, Mir 19) and served in this capacity until the end of the Phase 1A Program in 1995. Next from 1993 to 1996, Whitson was chosen as the Deputy Division Chief of the Medical Sciences Division at NASA-JSC. Concurrently, from 1995 to 1996, she served as Co-Chair of the U.S.-Russian Mission Science Working Group. In April 1996, she was selected as an Astronaut Candidate. The two-year course in general space training started in August 1996 and in 1998, she was declared a qualified fight specialist. 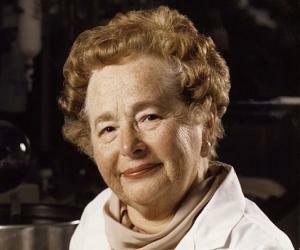 Meanwhile in 1997, while undergoing the training, she also functioned as an Adjunct Assistant Professor at Rice University in the Maybee Laboratory for Biochemical and Genetic Engineering. In 1998, after being declared a qualified fight specialist, Peggy Whitson joined Astronaut Office Operations Planning Branch, where she was assigned technical duties. Also from 1998 to 1999, she led the Crew Test Support Team in Russia. In July 1999, she was assigned to the backup ISS-3 crew and ISS-5 prime crew. Then from September 2000 to July 2001, Whitson underwent further training within ISS-3 backup crew. Finally on June 2002, Peggy Whitson flew into the space for the first time. She went aboard the space shuttle Endeavour on Expedition 5 as a flight engineer. It was launched from Kennedy Space Center on June 5 and docked at the International Space Station on June 7. After spending around 184 days in space they returned to Earth on December 2, 2002. In November 2003, Whitson was appointed as the Deputy Chief of NASA Astronaut Office. She remained in this position till March 2005. From May 2005 to November 2005 she served as Chief of the Station Operations Branch, Astronaut Office. In 2007, she once again went to the space, aboard spacecraft Soyuz-TMA, launched on October 10, 2007, from the Baikonur Cosmodrome in Kazakhstan. This time, she was the commander of the Expedition 16 mission. After spending nearly 192 days in space, they returned to Earth aboard Soyuz TMA-11 on April 19, 2008. In 2009, Whitson became chief of the Astronaut Office and remained in the post until July 2012. The post is entrusted with the responsibility of supervising all the activities of NASA astronauts and she was the first non-military personnel to hold it. During this tenure, she was responsible not only for the mission preparation activities, but it was also her duty to provide on-orbit support to the International Space Station crews. Organizing the crew interface support for future heavy launch was also another of her major duties. Peggy Whitson was named the commander of Expedition 51 which launched in November 2016. With the launch of this expedition, she, at the age of 56, became the oldest woman to fly into space. On this mission she was accompanied by fellow astronauts Oleg Novitskiy, Thomas Pesquet, Fyodor Yurchikhin, and Jack Fischer. In January 2017, Whitson performed extra-vehicular activity (EVA) along with Expedition 50 commander Shane Kimbrough wherein they installed three new adapter plates and hooked up electrical connectors preparing the way to replace the ISS batteries. This EVA lasted 6 hours and 32 minutes. With this EVA, Whitson became the oldest female spacewalker. Over the course of this expedition, she broke the record for cumulative time spent in space by a U.S. astronaut, previously held by Jeff Williams. On April 24, 2017, Whitson officially surpassed the previous record of 534 days set by Williams. It was a historic moment for America and she received a televised phone call from the Oval Office from US President Donald Trump. In April 2017, Whitson’s space mission was extended by an additional three months and she is expected to return to Earth in September 2017. Peggy Whitson is best known for her two journeys into the space. The first time she was a flight engineer aboard the Space Shuttle Endeavour on mission STS-111. Later she was designated as the NASA ISS Science Officer. Incidentally, she was the first person to hold this post. The spacecraft was launched on June 5, 2002 and after spending 184 days, 22 hours and 14 minutes in space, they returned to Earth on December 7 aboard STS-113. During these six months on the board of International Space Station, Whitson conducted twenty-one experiments in microgravity and human life sciences. In addition, she installed commercial payloads and hardware systems. To install shielding on a service module and to deploy a science payload, she had to perform a four-hour and 25-minute Orlan spacewalk. Whitson next went to the space in October 2007 as the Commander of the Expedition 16. This made her the first female commander at International Space Station. This time she spent nearly 192 days in space and during this period made significant improvement on the ISS. To carry out maintenance and assembly tasks, she also had to perform five space walks. They returned to Earth aboard Soyuz TMA-11 on April 19, 2008. 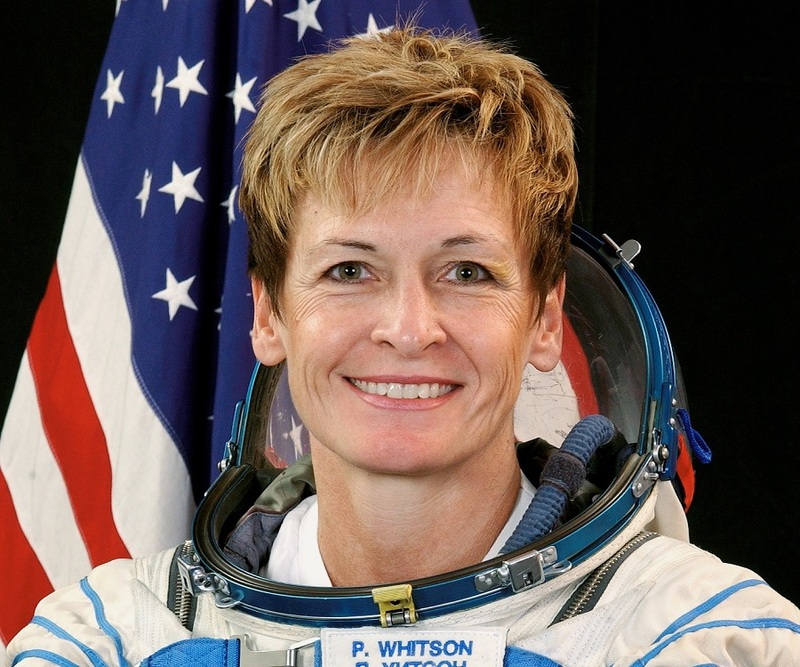 Peggy Whitson has received NASA Exceptional Service Medal three times; in 1995, 2003 and 2006. 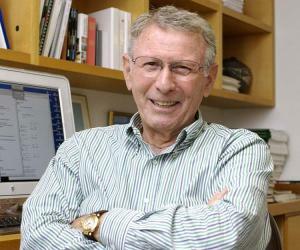 In 2006, Whitson received the NASA Outstanding Leadership Medal. On April 12, 2011, Russian government awarded her the ‘Medal For Merit in Space Exploration’ for outstanding contribution to the development of international cooperation in manned space flight. Peggy Whitson is married to Clarence F. Sams, who is currently, the manager of the Cell and Molecular Research Laboratory at NASA Johnson Space Center, Houston. A biochemist by profession, he is currently working on the effects of spaceflight on biological systems.